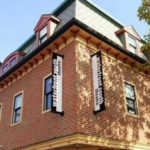 CAMDEN, NEW JERSEY – JANUARY 16, 2019 – Artistic Director, Raymond Croce, tells us that he has chosen five very different shows for the fourteenth season at South Camden Theatre. All of his choices come from playwrights who tell their stories in a dramatically different fashion. One common characteristic for each production is that all of his play choices are told by just two characters. Our first show is comprised of two comic one-acts written by David Mamet and Harold Pinter. Both playwrights guide us through their stories in unique ways. Mamet introduces us to two men in their sixties discussing the ways of ducks and life in The Duck Variations. We quickly learn that people who talk the most with authority about something are the ones who know the least about the subject. This show is told in 14 different, hilarious variations with Mamet’s excellent dialogue. Harold Pinter takes us to a claustrophobic basement where two hit men are waiting for their next “assignment” to be revealed. 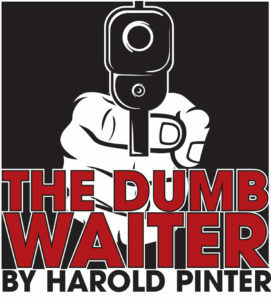 The Dumb Waiter is the very essence of Pinter who has tapped into our desire to seek meaning, confront injustice and assert our own individuality into life. Pinter has a way of not only creating characters but also using their interactions and phrasing to create the actual emotion we feel. 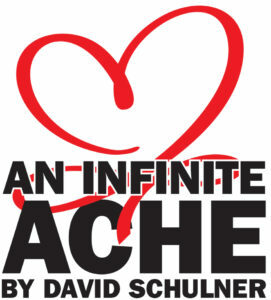 The second production opening in late April is David Schulner’s An Infinite Ache. This is a fresh and heartfelt play about love, time and the infinite directions in which two lives can travel. A pair of lonely twenty-somethings are about to end a supremely uninteresting first date, but when they are about to say good night, a myriad of possibilities of their future and a life shared together come rushing to meet them. From their first kiss to their first child, from a horrible tragedy to a second chance, each moment moves with breath-taking speed. A love story told with true theatrical flair. This play is dazzling and insightful and will be directed by Ray Croce. 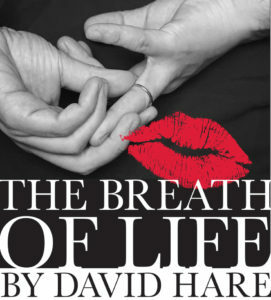 Our Fall production is the Regional Premiere of David Hare’s The Breath of Life. David Hare has constructed a wide-ranging, comic and often angry duologue. This play is a moral debate and a morality play about our loss of morals. It is also a vicious and viciously funny play about survival amid lost lives and lost loves, as well as the eventual realization that if you live in the past, at least you always know what is going to happen next. The Breath of Life is being directed by Penelope Reed. 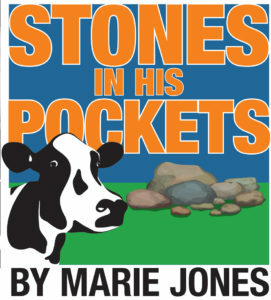 The final production for this unique season of “two-handers” is The Stones In His Pockets by Marie Jones. This is an authentically-felt tale of what happens to a person when he or she has no options, no future, and no way out. Stones in His Pocket is a tragic-comedy, and there are indeed many moments of both uproarious laughter and also heavy seriousness—it’s reflective of real life in that way. This production will entertain while it also begs each and every one of us to take a long, hard look at the “extras” in the background—not just in movies — but in our everyday lives. The Board of Directors, actors, directors and production talent all hope that arts patrons from across the Delaware Valley come to the Waterfront South Theatre in Camden throughout 2019 to spend an evening with us, because theatre is a chance to stir your soul. The arts are growing in Camden and South Camden Theatre Company is proud to be the occupant of The Waterfront South Theatre, one of the first free-standing theaters to be built in Camden in more than 100 years. All seating is general admission and is first-come, first-seated. Doors open one hour before curtain. Each show opens with a preview performance on the Wednesday prior to opening night at 7:30pm. Friday and Saturday night performances are at 8:00pm and Sunday matinées are at 2:00pm. The Waterfront South Theatre is a completely accessible facility. Concessions are available prior to each show and at intermissions when they are scheduled. Tickets are $25 and are available online, over the phone or at the door. There is a special Camden City Resident ticket available for just $5 per person when you show proof of residency. Purchase a season FlexPass for $80 and SAVE 20% off the single general admission rate. Group rates are available. Call for information.